Websites, like rivers, merge into the ocean of Web contributing to it the information from different walks of life, different disciplines and different business verticals. And AngularJS is the web development framework to channelize the website's energy, that is, content, thereby enabling users to connect with its governing entity. Why Should You Worry About User-Engagement? 55% of Visitors Spend Fewer Than 15 Seconds on Your Website. Aspire to have such a website? Indeed, you would be. User engagement is one of the prominent digital marketing metrics showing how users are reaching out to your website, what information are they navigating to and what purposes they want to fulfill by visiting your website. Hence, you must opt for an AngularJS web development solution that harnesses the potential of the framework to give the best experience to your target audience across smartphone, tablet, and desktop. 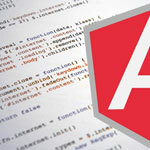 Continue reading to explore the top 15 AngularJS web development tools driving user engagement. It owns a deployment wizard adhering to protocols like FTP, SFTP, FTPS, and Capistrano, thereby, easing update implementation and publishing, bug fixing, and collaboration on a project (GitHub support). 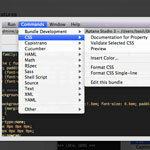 Built-in terminal and IDE customization bring value to the development process and final product. 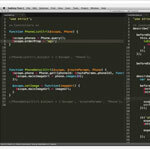 This is a cross-platform text editor that eases AngularJS website development. The presence of a customizable editor, plugin API, Command Palette, split editing, multiple selections, Goto Anything, Distraction Free Mode, and more features help developers to speed up the process without compromising the quality of user engagement. 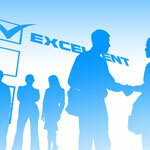 In the wake of growing marketplace competition, quality is indispensable to web development. Find a list of reliable AngularJS tools that make testing and debugging easier, faster and more accurate. 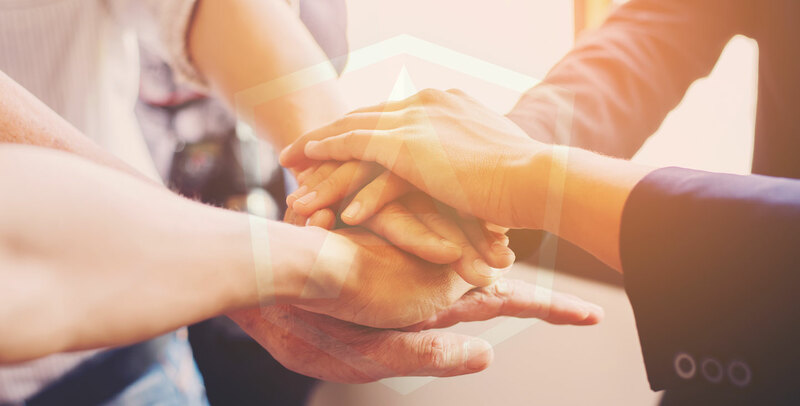 From unit testing to midway testing to E2E testing, Karma provides support for all and encourages AngularJS developers to build a website that can deliver a great experience to users. A developer can highlight his/her preference regarding the type of browser the web application would use. The application communicates with the active browser usingsocket.io. Protractor is a powerful automated testing and debugging tool that derives its power from proven technologies, including NodeJS, Selenium, webDriver, Mocha, Cucumber and Jasmine. 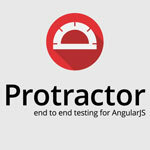 Taking advantage of native events and browser-specific drivers, Protractor interacts with the application akin to a user. 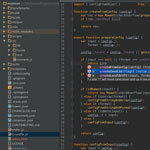 Batarang is a Chrome extension developed by the Angular team for debugging and profiling Angular apps. It is available at GitHub and Google Web Store. After examining the app, it presents a comprehensive report under three different sections: model, performance and dependency debugging. Examining scope and model updates along with DOM elements on real time becomes easier with this debugging tool. 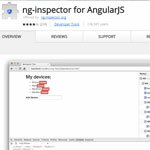 ng-inspector is also a browser extension compatible with Chrome and Safari. Services, directives, controllers, filters, and configuration information -- all find refuge in a module. ngmodules.org is a place to find and submit modules. Continue reading to get a walk through of some key modules. 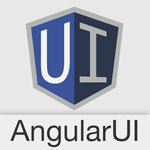 It?s a bouquet of UI components built with AngularJS. 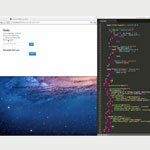 Instead of widgets, Angular UI leverages raw directives like ui-router, ui-map, ui-calendar etc. The inclusion of Utility directives is a promise for improving the AngularJS web development process. GitHub houses a set of modules, directives, filters, utilities and resources. Know how to create native Twitter Bootstrap in Angular? It can be done quite easily using UI-Bootstrap. 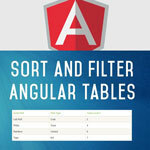 Thanks to ngTable, insertion of tables into a website is no longer a challenge. Not just a table, it would be a cognitive table. Yes, you heard it right. Users can sort, and filter table to retrieve information that they need in no time. Developers or content managers can add content of varied length as the row height can be changed easily. ng-Table is equipped with good pagination capabilities. 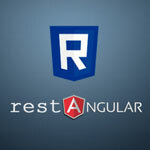 Creating Rest API is easier using Restangular. 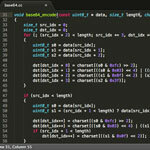 Anybody can make use of GET, DELETE, UPDATE and POST data requests without getting into the complexity of client code. 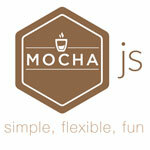 Restangular supports $resource, HTTP method, self-linking element, promises usage and many more. There is a RestangularProvider option that allows you to configure the individual properties of Restangular. Leaving behind the translation task to Angular-Gettext module focus better on your web development task. A developer just needs to write the code and annotate the section that he or she wants to be translated. The tool supports as many as 130 languages. 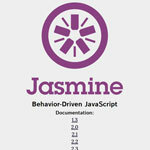 Performance is a key aspect of any web applications. Thankfully, AngularJS web development discipline is blessed with tools that can optimize HTML, JS and CSS components used in a build. Such a tool minimizes and compresses the build, making it lightweight, to impart superior experience to users. 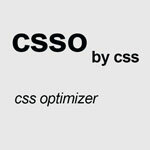 As the name suggests, this tool is to optimize the CSS. It helps in removing obsolete and redundant CSS elements, compressing them well (to reduce file size) and then restructuring them (merging of declarations, rulesets, etc. ), eventually to get a compact form. This helps in generating an optimized web application.